Come play all kinds minecraft games or mini-games. 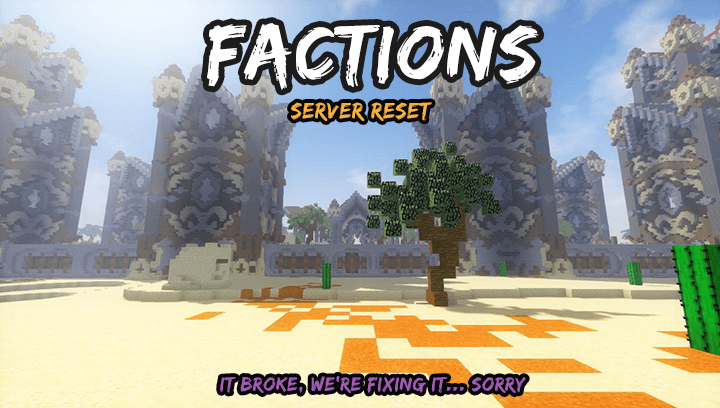 Our server is free to play for everyone, come and play on Guildcraft. Yes, for the first time in awhile Creative is getting some new content! Added /bookfilter to remove commands from books. please use it!!! Changed spawns and added portalllssss! That’s right. 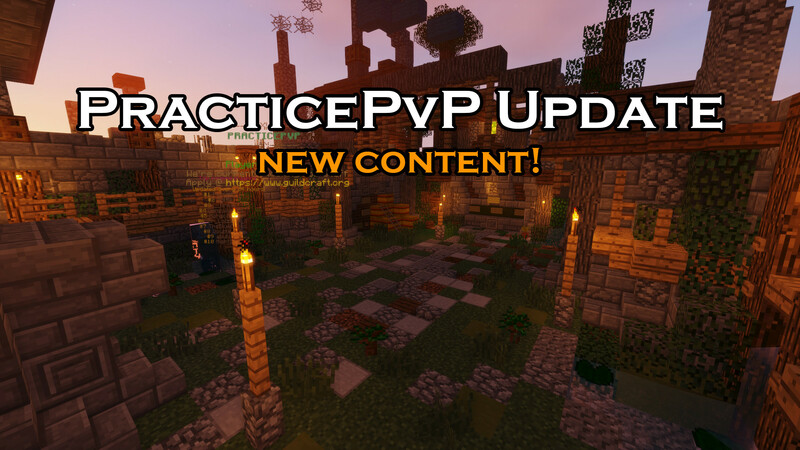 We have released a major update for PracticePvP! Spawn has been changed. We hope you older players enjoy the nostalgia. The old arenas have been discarded and replaced by new maps. Special thanks to @Verang and the build team for these amazing maps! The void bug has been fixed! The Combo Mode Ladder has been added! Wood sword has been replaced with Team No Debuff. The old Kit Editor has been removed entirely. It has been replaced by my new GUI-based Kit Editor and the newly added Kit Viewer. The ranked match limit has been removed. This is just a taste of what is to come! Stay tuned for other major updates! OH! Most importantly, we are announcing coupon rewards for this seasons top players! The top 3 winners of this season will receive epic rewards! More details coming soon! What are you guys waiting for? Check out the updated PracticePvP for a chance to win prizes of epic proportions. The update is available to play now! [BuildTeam] is looking for applicants! This is your chance to apply! I'm iHasShadowHD, also known as Verang. I've been promoted about two months ago as the GuildCraft's Head Admin of Build server (therefor Head Builder). My goal is for the betterment of the team as a whole in many varieties of skills such as shape, color choice, detailing etc. I have over 4 years of building experience, and 3 years of professional building experience (commissions, working for different teams). I currently work/previously worked for TeamVisionary, LuxStudios & ElagonBT. My main goal is delivering marketplace maps for Mojang, which they later on publish them on bedrock edition devices. I have applied with the will of promoting GuildCraft's team and keeping it up to date with the newest building tools and techniques. Our BuildTeam is the main and the most important element of all GuildCraft, by making maps that we request you will get paid by cupons. It is a great way to begin your journey as a builder and get prepared for bigger teams in the future. Okay, here's the most important part of this thread. When you're applying for the build team there's a few requirements that are not stated, which I will continue to state above.